Devin Gray is an artist interested in multiple musical directions and one who strives for quality and sincerity in his work. His exciting energy has compelled him towards many different musical directions and projects. Considered by his contemporaries as cutting edge, Gray shows promise as an artist that will not only move the music forward, but one who will share his unique musical vision with the world of music. Devin Gray’s fresh approach to modern drumming has enabled him to play with many of America’s great jazz musicians. He has performed and recorded with innovative musicians of contrasting styles and backgrounds such as: David Liebman, Tony Malaby, Gary Thomas, Ingrid Jensen, Dave Burrell, Dave Ballou, Michael Formanek, Nate Wooley, Stephan Crump, George Garzone, Chris Speed, Drew Gress, Sam Rivers, Ralph Alessi, John O’Gallagher, Ellery Eskelin, Kris Davis, Ted Rosenthal, Matt Mitchell, Uri Caine, Andrew D’Angelo, Vardan Ovsepian, Bill McHenry as well as many others. Devin has been fortunate to perform in many places around the globe and continues to make peace with his audiences. 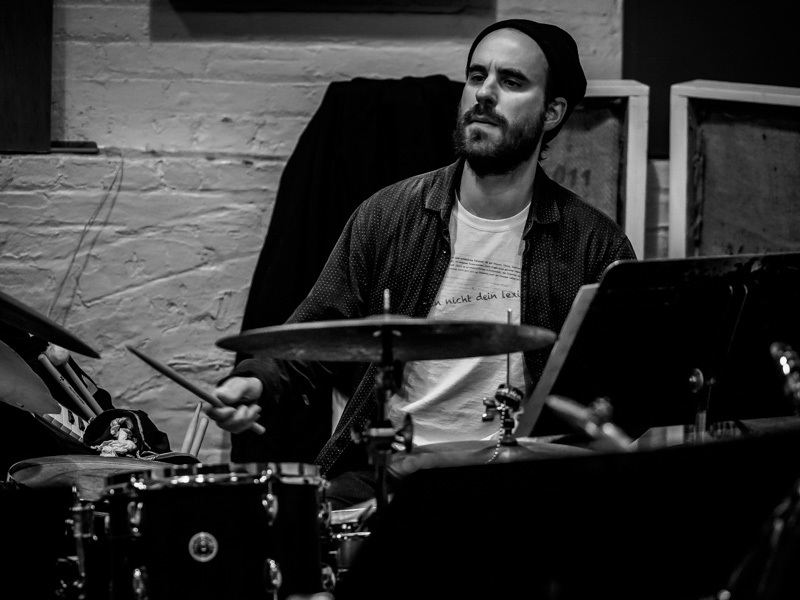 He is a top call young drummer in many modern jazz circles in New York City as well as multiple cities on the East Coast of the United States. Current leader projects include two quartets: “Dirigo Rataplan” featuring Ellery Eskelin, Dave Ballou, and Michael Formanek, and “RelativE ResonancE” featuring Chris Speed, Kris Davis, and Chris Tordini. He is currently living, playing, and composing in Brooklyn, New York.